We have several Latin Dance instructors available in the St. John’s area, some of whom volunteer within our Salsa in St. John’s community group. All are invited to submit a biography for our page! We’ll also include your class details/location etc, either with Salsa Social sessions or elsewhere. If you’ve just found our group and are interested in joining our instructor’s team or our network, please email judy.salsa”AT”gmail.com we’d love to hear from you! Stacy Fowler has been dancing and performing in St John’s for many years, and fell in love with Latin dance in 2009 when she attended a Latin Jazz class. Since then she has been travelling to Cuba annually to train in Salsa, Son, Cha-Cha-Cha, Reggeton, and Rumba. She has also been involved with performance group Salsa Floreo and has had the honor of working with choreographer Corie Harnett on many dance performance projects. Since 2013, Stacy has been training as a dancer and teaching focusing on Salsa On1, Bachata, and Merengue. Stacy has her own dance company called Bailamos St. John’s. 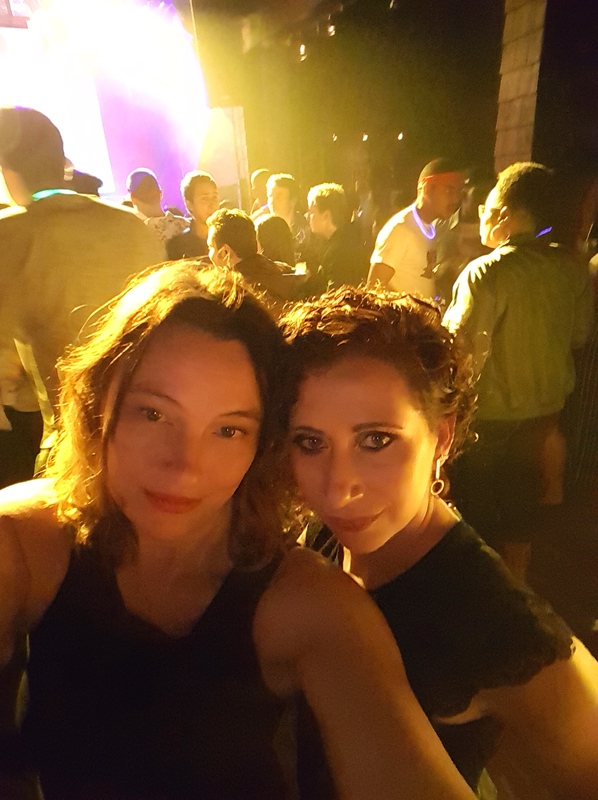 Stacy is also a regular instructor for Salsa in St. John’s parties at the RockHouse, and teaches the Beginners Bachata Drop-in Lessons at Boca Tapas Bar on Wednesdays at 7:30pm. Corie Harnett first fell in love with Latin street dances over ten years ago in Toronto. Since then she has learned from many renowned instructors such as Stephanie Gurnon and Mark Anthony Sheppard (Mambo Tribe), Teddy Olaso (United Salseros), Magna Gopal, and has taken workshops with Frankie Martinez and Eddie Torres. In the past, she has performed shines choreographies at such events as Canada Salsa Congress, Montreal Salsa Convention, Rochester Salsa Weekend, and the Jimmy Anton Social. Corie has honed her social dancing skills through sharing dances with some of the best social dancers on the international salsa circuit. Corie has been a volunteer instructor and host for Salsa in St. John’s socials. She also teaches various Latin dance workshops and classes. 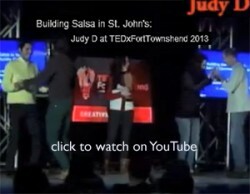 Info updates are available on the Salsa in St. John’s main page or fb group. I was once employed by the Federal Government to train reservist soldiers in construction, weapons and explosives, at the same time I enjoyed playing rugby and jumping from airplanes. Upon meeting a young university girl in a downtown bar that could turn very nicely on the dance floor, I was then introduced to the world of Ballroom and Latin Dancing. I then quickly learned the steps involved, and forever after, have regularly compared ballroom dance class to a combination of Tae Kwon Do and Army Drill. Throughout the years, I consistently demonstrated my ability to walk and talk in combination with yelling louder than generally most, and I was continually thrust into the position of instructing physical movement along to music while holding another human, commonly known as Social Ballroom Dancing. Since 2002, I have taught workshops and classes throughout the St. John’s area. In addition to teaching at the MUN Ballroom and Latin Dance Club, where I have developed a 3 level curriculum based on ISTD Ballroom and Latin Dance syllabus, I also continuously improve my skills by taking classes each week. Jim is also an occasional volunteer instructor for our drop in Salsa Party beginner lessons at Rockhouse! Check out My Instructors description on the Wild Lily Dance Centre webpage. New Couples Ballroom classes starting on Sunday afternoons, Feb 16th. It’s so exciting to see this new trend of latin music and dancing lovers coming forward to share their skills and abilities with the rest of u.